The Mayor's Cup Regatta & Festival Committee is pleased to announce that Leigh and Stephens Mundy have been named the 2018 "Spirit of Ianelli" Award honorees. The "Spirit of Ianelli" Award was established in 2010 in honor of the late Mayor John Ianelli, former Mayor of the City of Plattsburgh and co-founder of the Mayor’s Cup Regatta in 1977. This honor is bestowed upon an individual or individuals – sailor or landlubber – who exemplify the same “community does matter” spirit that inspired Mayor Ianelli 38 years ago, empowering our lake community to thrive, not only on race day, but every day. Plattsburgh Mayor Colin Read commented, "The energy and devotion the Mundy's offered this community is precisely what the Ianelliaward seeks to recognize. They took a derelict theater in the heart of our downtown and created a treasure for which our entire region can be proud. This is the pride of Mayor Ianellithat I am overjoyed to endorse." 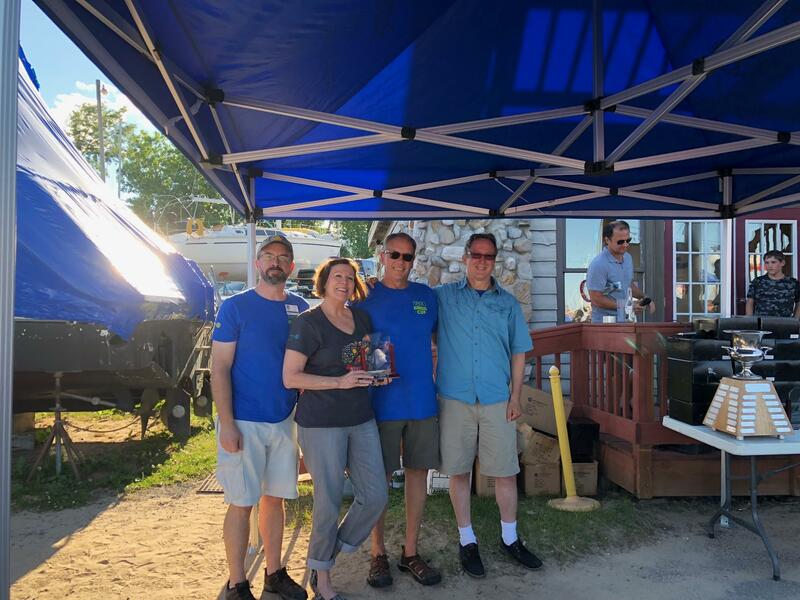 The “Spirit of Ianelli” Award Ceremony took place at 6:00pm, immediately following the Mayor’s Cup Regatta BBQ, on Saturday afternoon, July 7, 2018 at the Naked Turtle restaurant at the Plattsburgh Boat Basin.